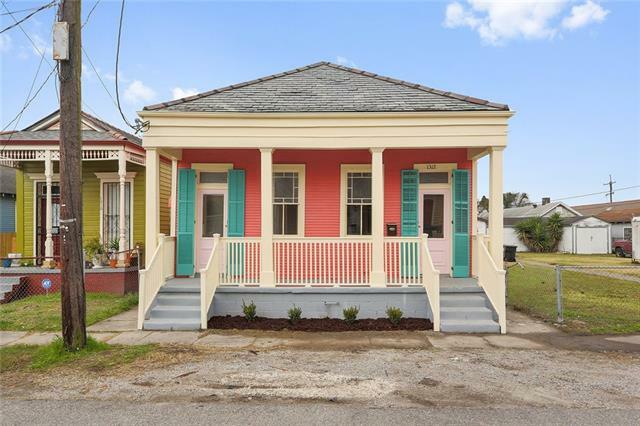 Excellent condition historic Bywater shotgun double converted to a single. 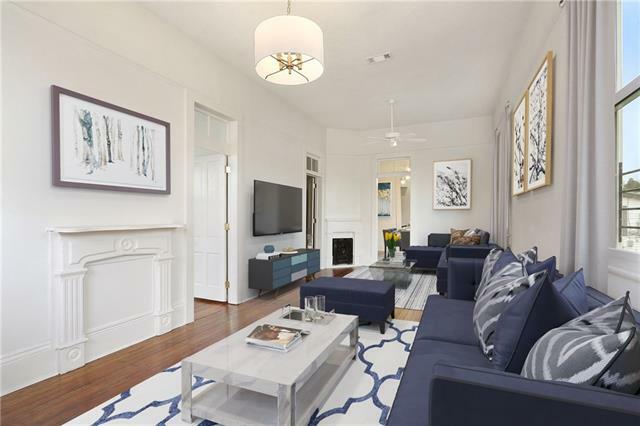 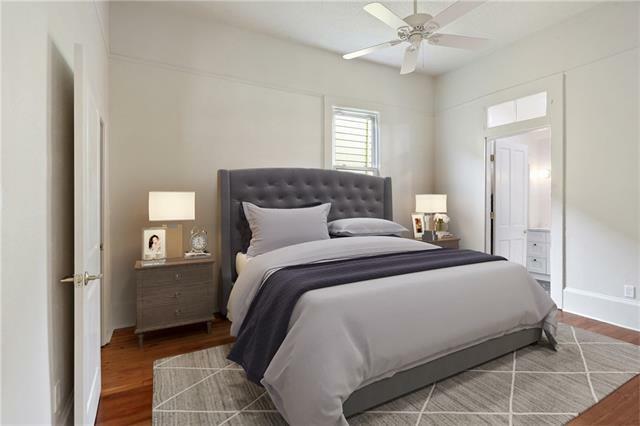 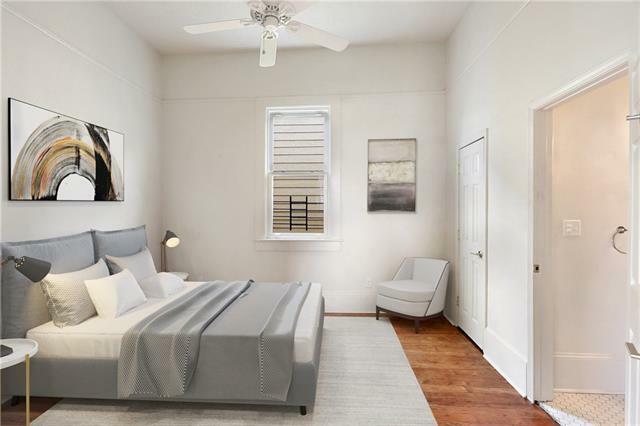 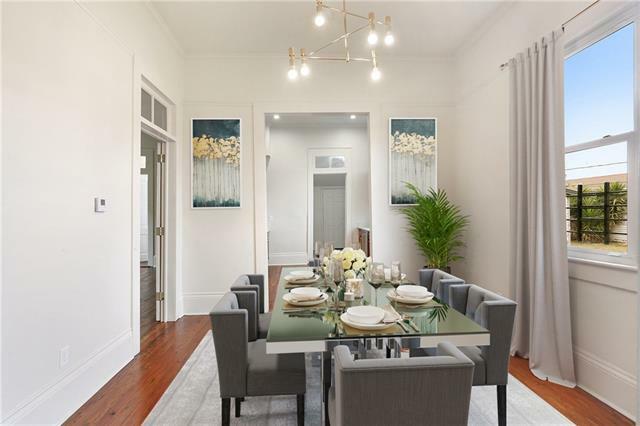 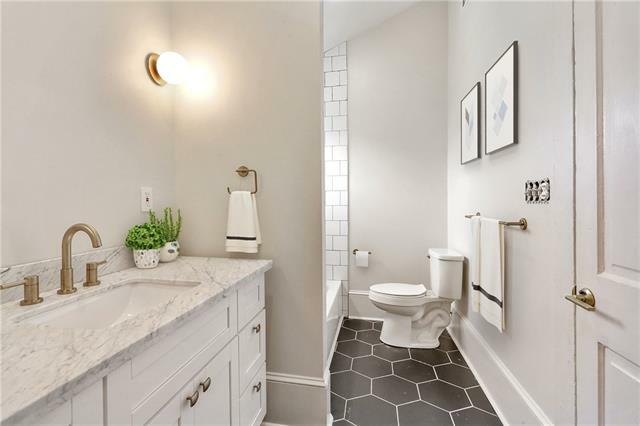 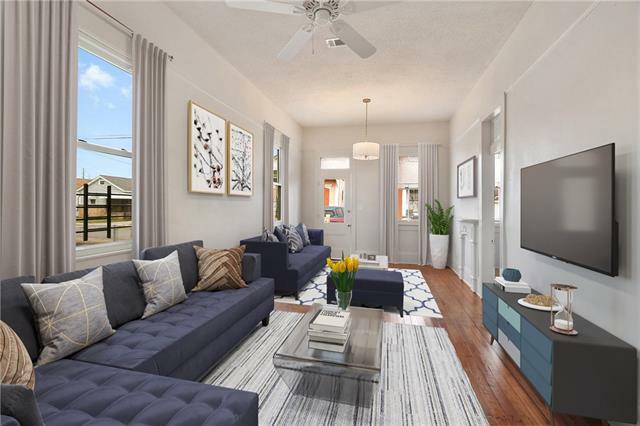 This property has been fully updated with historic refinished red pine wood floors, with open floorplan featuring a dining room and double parlor for entertaining, 3 separate bedrooms, 2 on suite bathrooms, large master bedroom suite! 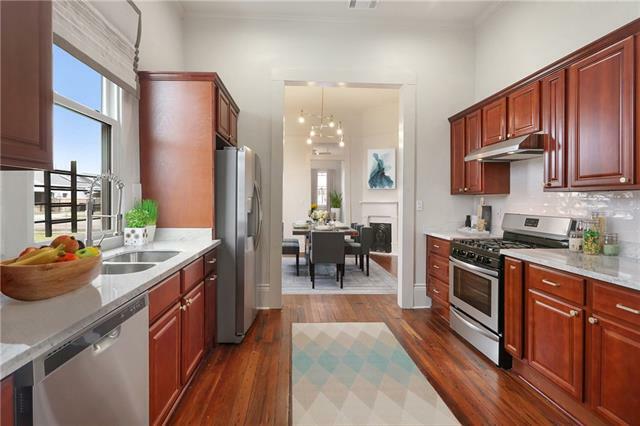 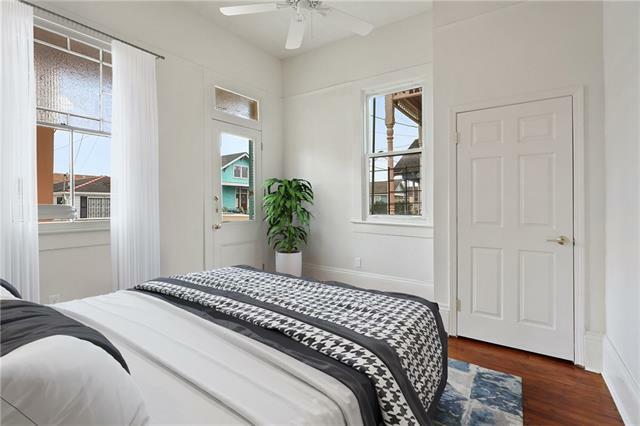 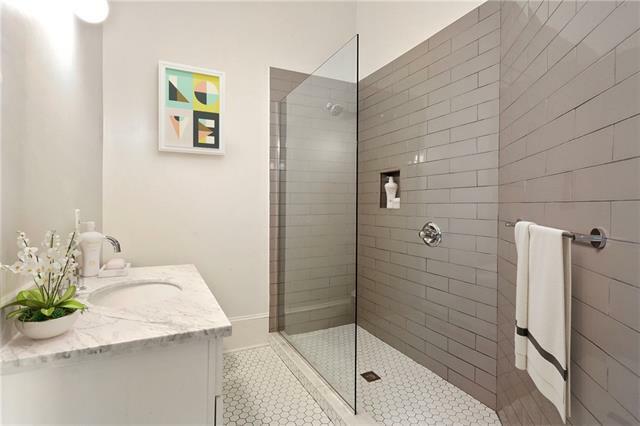 Totally renovated kitchen and bath, all new fixtures, brass hardware, contemporary fixtures, and more. 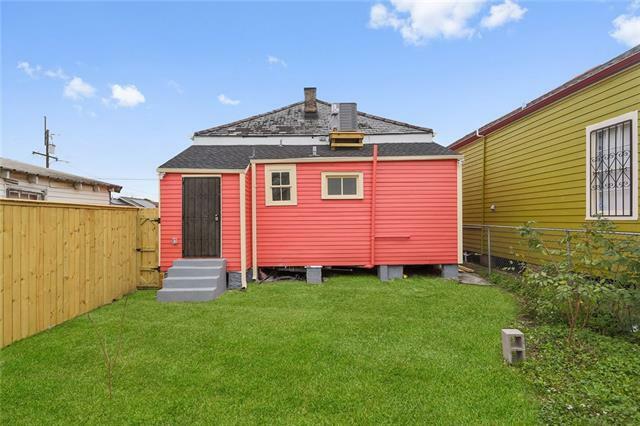 Private back yard waiting for your touches.